Up and down the west coast of Taiwan, oyster-farming can be found almost everywhere, most notably in JiaYi, Tainan, Yunlin, and Changhua. 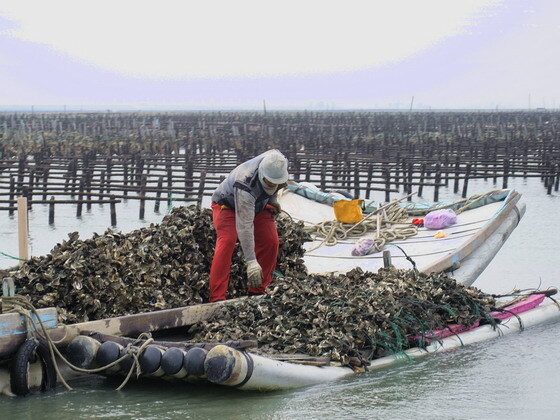 About 50% of oysters in Taiwan are produced in TungShi 東石 in Jiayi. It has a long history as well, for example, in Tainan, part of Ft Zeelandia was built with cement made with oyster shell ashes. In HenChun, there is a oyster shell island in 大鵬灣 formed from discarded oyster shells over the past few centuries. 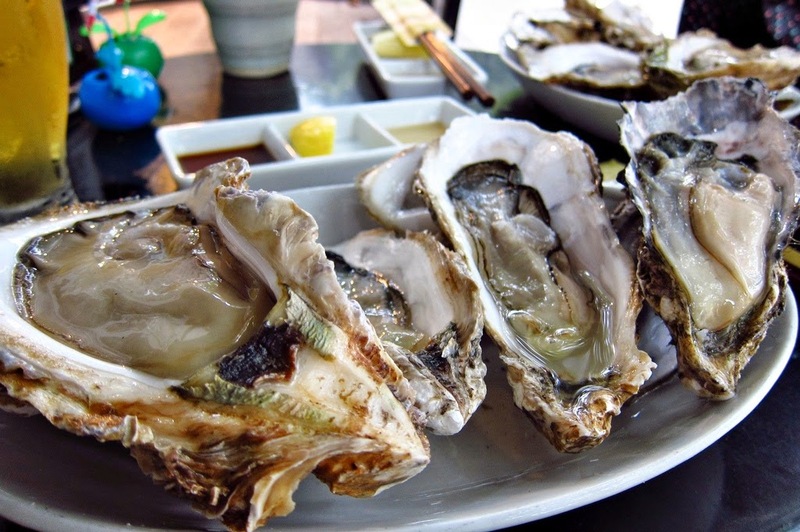 Eating oysters raw is not in the Taiwanese culinary culture. In Tamsui, oysters have always been prepared as clear soup. In the now demolished Grand Rotary 圓環 in Taipei, oyster pancakes with or without eggs mixed in the batter were served. These oysters were all small in size. Even today, the most seeded jumbo Clausen Pacific oysters are allowed to grow for only 6 months to one year, as opposed to 2-4 years in north America, before harvesting. Catering to the consumers' preference aside, the giant variety never tastes good anyway, in fact, the flavor is all wrong. Restaurants advertising Taiwanese cuisine in the US also serve 蠔仔煎, albeit with jumbo ones. After a few tries, the verdict is often a "Don't bother". Taiwan has 18 varieties of oysters. The taxonomy is best left to the experts, we the consumers only need to know where to get and how to eat them. Charcoal-grilled oysters on the half-shell washed down with Taiwan Beer are most definitely more satisfying than oyster soup. 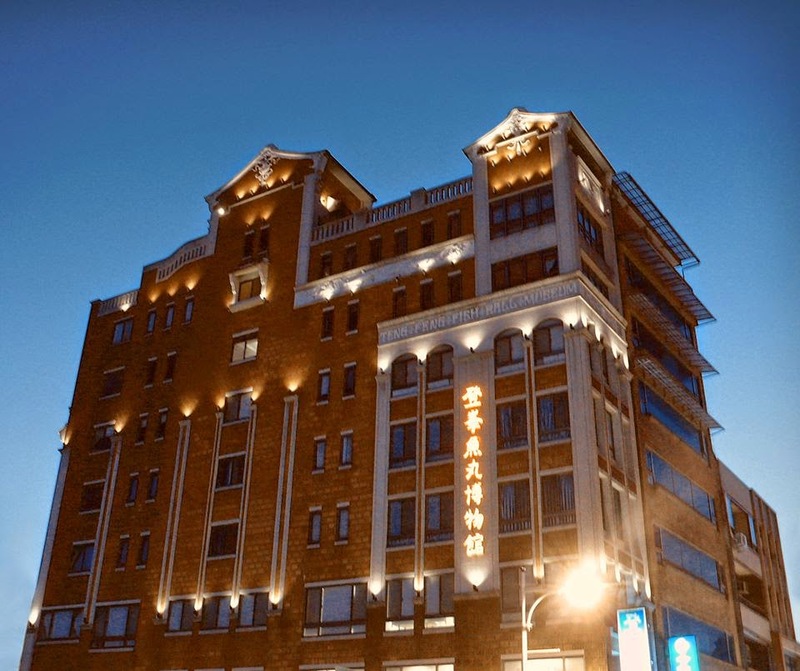 Even better, they can be found in 鹿耳門 in Tainan (where Koxinga's fleet sailed through in 1661 before the first battle against the Dutch) - no need to travel to Sendai. 海山醬 - 海山， 有可能是 Heinz Ketchup. 海鲜醬 – 没有海鲜，有可能是 Hoisin Sauce. 海山醬 is a bit more sweet than Heinz Ketchup, not sure why the name, maybe all-purpose except fowls (天上飛的）. oh, I don't mean the ingredients, the taste. I meant, it's possible the name is translated from Heinz. and 海鲜 is translated from Hoisin. 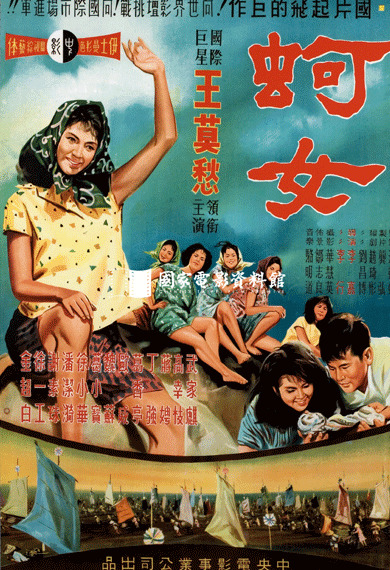 There is no seafood in 海鲜醬 . Possible translation from English equivalence. Just there seems to be no record. So no one knows.